Researchers at The University of Texas MD Anderson Cancer Center have discovered that a form of RNA called metastasis-associated lung adenocarcinoma transcript 1 (MALAT1) appears to suppress breast cancer metastasis in mice, suggesting a potential new area of therapeutic investigation. The findings, published in the Oct. 22 online issue of Nature Genetics, were surprising given that MALAT1, a long non-coding RNA (lncRNA), previously was described as a metastasis promoter. 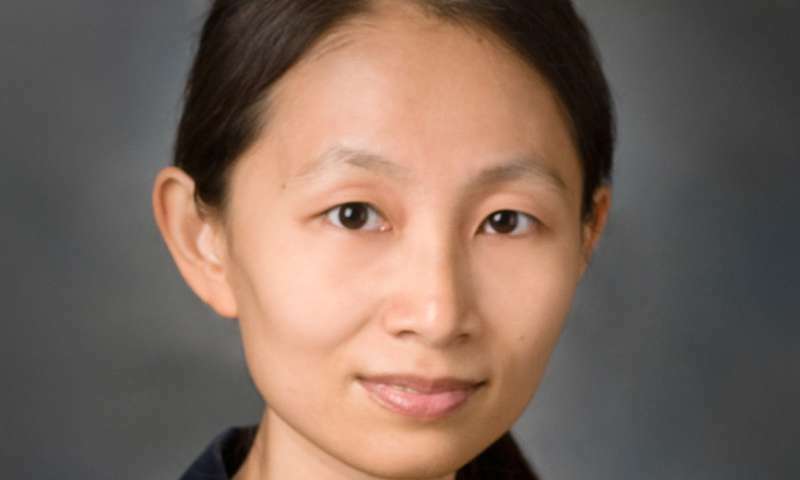 "Our six-year study unearthed the unexpected metastasis-suppressing function of MALAT1 through highly rigorous genetics approaches," said Li Ma, Ph.D., associate professor of Experimental Radiation Oncology and principal investigator for the study. "Our findings defy the conclusions drawn from previous MALAT1 studies and suggest the potential value of therapeutic agents targeting a cellular pathway linked to MALAT1. However, this will require further clinical investigation." Ma's team observed that MALAT1 sequestered and inactivated a protein known as TEAD, a transcription factor, which when combined with a "co-activator" called YAP, causes cancer proliferation and metastatic progression. The researchers discovered that MALAT1 binds and inactivates TEAD, preventing it from partnering with YAP and targeting genes in promoting metastasis. Although MALAT1 had been associated with metastasis, the team, using a breast cancer transgenic mouse model, inactivated the MALAT1 gene without altering expression of its adjacent genes and observed that MALAT1 inactivation promoted lung metastasis, which was reversed when MALAT1 was re-introduced. Similarly, knockout of MALAT1 in human breast cancer cells induced their metastatic ability, which was reversed by the re-introduction of MALAT1. Additionally, overexpression of MALAT1 suppressed breast cancer metastasis in several mouse models. "Taken together, our study reveals the unexpected function of MALAT1 through comprehensive gene targeting and genetic rescue approaches in multiple in vivo models," said Ma. "These findings call for a reassessment of ongoing efforts to target MALAT1 as an anti-metastatic therapeutic strategy, and provide a general framework for pursuing a better understanding of lncRNAs."